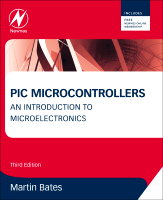 Welcome to the website for Bates, M: PIC Microcontrollers: An Introduction to Microelectronics, 3rd Edition. This Web site serves as a companion to Bates PIC Microcontrollers, Third Edition. Applications.